OHA members will have their once-a-year opportunity to vote for leadership positions in upcoming elections for first vice president, OHA Council member and Nominating Committee members. Curtis Austin received his Ph.D. from Mississippi State University in 1998 and served as Director and Co-Director of the Center for Oral History and Cultural Heritage at the University of Southern Mississippi. He was project director of one of the most important digitization projects in American history–one that has taken the oral histories of hundreds of civil rights activists, digitized them, and then made them available online for public consumption. He currently teaches African American history and the history of the civil rights movement at The Ohio State University. He continues to use oral history as a basis for understanding American history and is the author of the critically acclaimed, award-winning book Up Against the Wall: Violence in the Making and Unmaking of the Black Panther Party, which is based on extensive oral histories with former members of the Black Panther Party. 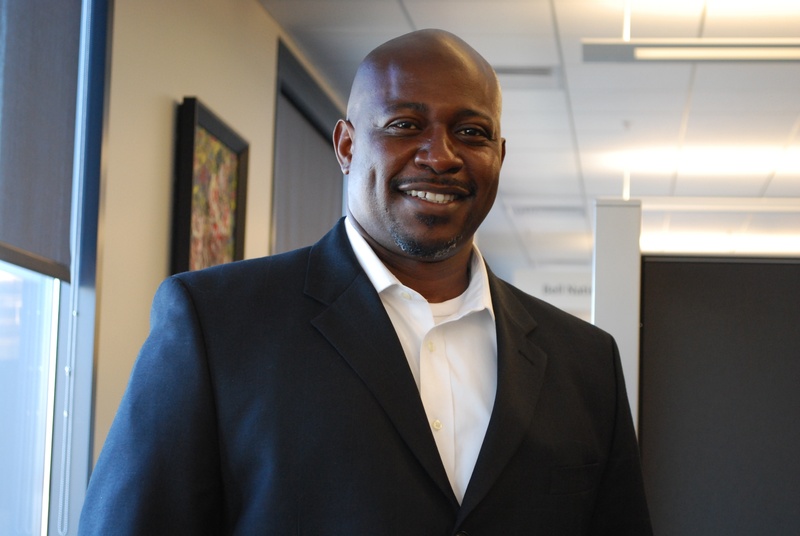 His current research projects include a history of the black power movement and history of the San Francisco 8. The San Francisco 8 are former members of the Black Panther Party who were arrested in 2007 on charges stemming back to 1971. In additional to traditional documentary sources, Austin will use extensive oral histories to tell the story of how these eight men traveled around the country organizing against their false arrests and how in 2011, they convinced the California court system to drop all the charges. My first college paper was “An Oral History of Desegregation in Yazoo City,” written in 1990. I have been enthralled with the methodology ever since. My interest in this field has since risen to the point where oral history has become a household word. I would like to serve the organization by spreading the word about the value of doing oral history in both mainstream and in under-represented communities throughout the country. As we often interview people from these spaces, we rarely leave them with the skills and equipment to maintain these endeavors after we leave. I would like to work with other like-minded people who are interested in creating a network of oral historians who take center stage in creating the local stories that make up our understanding of the larger American epic. I would also like to work with others to encourage more tenure track faculty to join and participate in the organization’s annual conference and its other initiatives. My ability to work well with diverse groups will help facilitate this process and make the preservation and access of these stories a reality. Finally, I would like to serve the Oral History Association because it has done so much for my understanding of American and world history and for my career. I would like to give back to the organization in a way that strengthens it and that makes people more aware of its existence and its important contributions to academia and the many communities it serves. 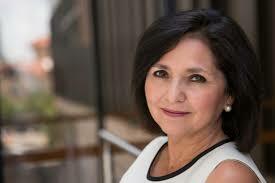 Maggie Rivas-Rodriguez is a professor of journalism at the University of Texas at Austin and the founder and director of the multi-faceted Voces Oral History Project. Since its inception in 1999, the project has recorded nearly 1,000 interviews with Latinos/as of the World War II, Korean War and Vietnam War generations. In 2013, it added a new collection on Latino Political and Civic Engagement. The project has produced five books, provided interview material for three plays, developed educational materials, created photo exhibits and become a resource for scholars and others looking for photographs and interviews with Latinos of the World War II period and beyond. Its archives are housed at the Nettie Lee Benson Latin American Collection on the UT campus. Rivas-Rodriguez has been one of four co-directors (led by TCU history professor Max Krochmal) of the Black and Brown Civil Rights Oral History Project in 2016 to the present. She worked as a journalist for more than 17 years in major market news outlets, including The Boston Globe, WFAA-TV in Dallas and The Dallas Morning News. Since her years as a college student, Rivas-Rodriguez has been involved in developing and participating in programs to increase diversity in American newsrooms. She earned her Ph.D. from the University of North Carolina at Chapel Hill, her masters from Columbia University’s Graduate School of Journalism and her bachelor of journalism from the University of Texas at Austin. I wish to serve on the OHA Council for two reasons: I believe I have much to offer the Oral History Association and I want to give back to the OHA. I came to oral history after many years as a journalist working in daily news operations, and after earning a Ph.D. in communication. Both as a journalist and as a college professor I’ve been committed to finding ways to include untold stories that too often get left out. So this is my approach: marrying oral history with journalism. I’ve been doing oral history since 1999, when I founded the Latino & Latina WWII Oral History Project in which I work with college students, graduate and undergraduate, and volunteers to produce interviews and write journalistic treatments of those interviews. We changed the name to the Voces Oral History Project in 2010 to reflect our expanded scope that now includes Latinas/os of the Korean and Vietnam war eras. Here is what I have to offer the OHA: I’m good at taking a kernel of an idea and bringing it to fruition. Like most of our members, I understand the challenges of raising funds and promoting our work: everyone loves our work until they’re asked to fund it. I would make that one of my priorities and work to find ways of doing that. The OHA has helped train me through pre-conference workshops. It has inspired me through its speakers and panels. And it has given me the fellowship of men and women who support one another because we recognize how difficult this work is and that, essentially, we’re all in this together. 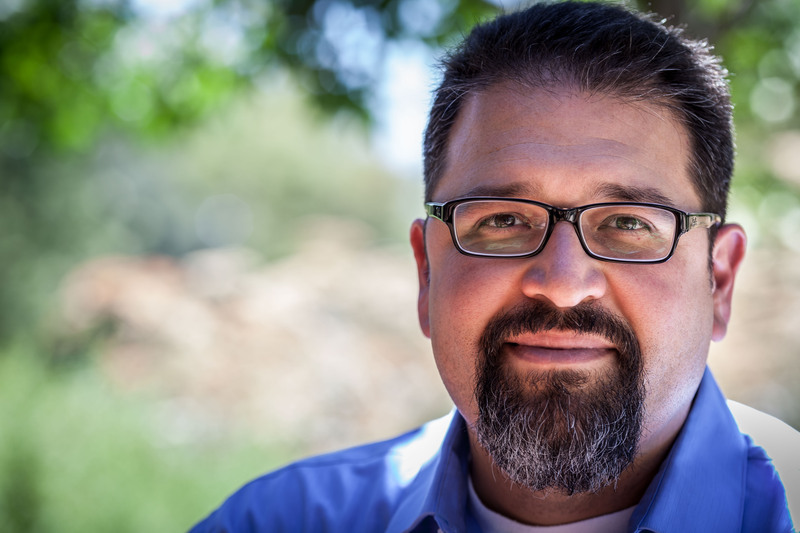 Tomás Summers Sandoval is an associate professor of history and Chicana/o~Latina/o Studies at Pomona College in Claremont, California, where he also serves as chair of the history department. He teaches classes on Latinx histories, oral history, social movements and community engagement, making particular efforts to blur the lines between the academy and the local communities of which we are a part. He earned an M.A. and Ph.D. in history from UC Berkeley and taught at California State University, Monterey Bay from 2002-2006 before joining the faculty at Pomona College. Summers Sandoval is the author of Latinos at the Golden Gate: Creating Community and Identity in San Francisco (The University of North Carolina Press, 2013) and is at work on a book exploring the impact of the Vietnam War on Chicano/Latino communities, based on oral histories with Chicano/Latino veterans and their families. In an effort to make his research more accessible to a general public, he curated Voices Veteranos: Mexican America and the Legacy of Vietnam (2017), a history and arts exhibit based on oral histories with Vietnam veterans. And, as a 2017-18 recipient of the Whiting Foundation Public Engagement Fellowship, he is crafting a stage performance of Vietnam veterans based on their oral histories, set for spring 2018. Nearly two decades after attending my first OHA conference, I am excited by the prospect of serving the association in a more involved way through the OHA Council. Over the years I have served the goals and interests of the OHA in a growing number of ways. Along with former OHA President Rina Benmayor, I worked along with David Reichard as the program co-chair for the 2010 annual meeting in Atlanta, “Times of Crisis, Times of Change.” I served a term as part of the OHA Nominating Committee. More recently, I worked as part of the OHA Site Selection Task Force, leading to last year’s Council-approved resolution on this important topic. My past involvement exposed me to the real strength of our association—the selfless dedication of scores of people that keep it going and growing in both small and big ways. As an oral historian whose focus is on the historical experiences of Latinx communities, I hope to contribute my own perspective to this continuing period of growth for the OHA. I firmly believe oral history is fundamental to our collective ability to retrieve and narrate the historical experiences of Latinas and Latinos in the United States. Similarly, our collective ability to understand that history is inseparable from the formation of a truly inclusive and democratic 21st-century United States. I can think of no more exciting place to be than at the forefront of this effort, contributing to the leadership of the OHA. 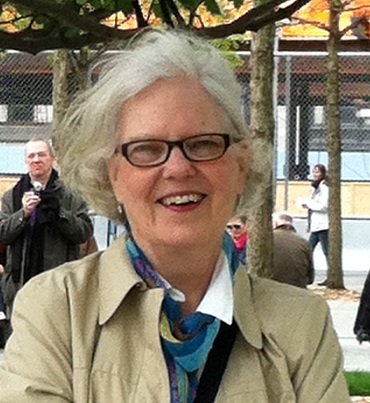 Ellen Brooks graduated from the oral history master of arts program at Columbia University in 2013. While finishing her master’s thesis Brooks worked at the Lower East Side Tenement Museum, where she helped organize the museum’s oral history collection and advised on integrating oral history into public programming. Brooks has held the position of oral historian at the Wisconsin Veterans Museum since November 2013. 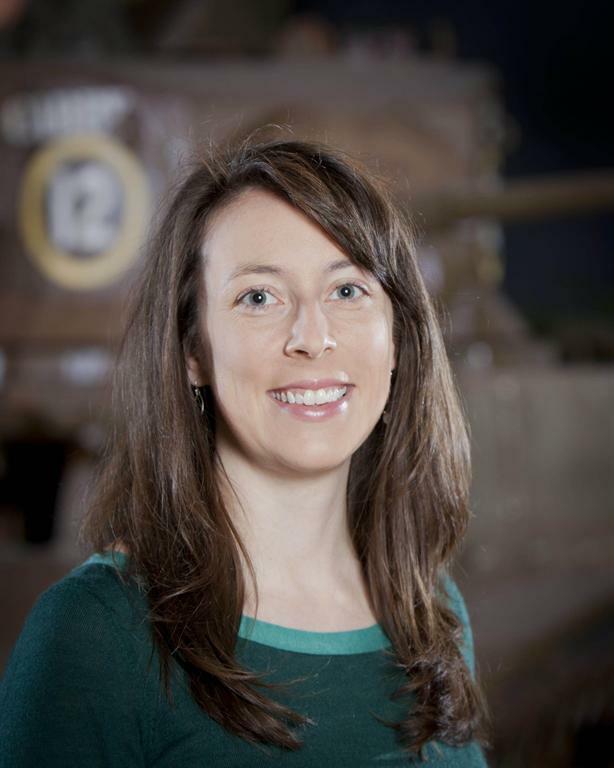 She is responsible for managing the oral history program by actively gathering oral histories from veterans across Wisconsin and overseeing the preservation and accessibility of the oral history collection. Brooks has been active in the Oral History Association since 2012. She is also a board member of the Columbia Oral History Alumni Association and a member of the Society of American Archivists Oral History Section Steering Committee. I would be grateful to serve on the OHA Nominating Committee because it would give me the opportunity to help OHA continue to grow and thrive. OHA has had a huge role in nurturing my professional career and providing me with a supportive network of colleagues. Serving on the Nominating Committee would allow me to give back to the OHA community. The position would also to enable me to ensure that new professionals have the same positive experience I have had with OHA by allowing me to help shape the future leadership of OHA. 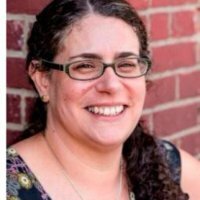 Suzanne Snider is the founder/director of Oral History Summer School/Oral History Winter School, an interdisciplinary training program in upstate New York for media makers, scholars and advocates. Snider also teaches oral history courses at the New School University and served as a visiting lecturer at Columbia University (OHMA) in spring 2014. 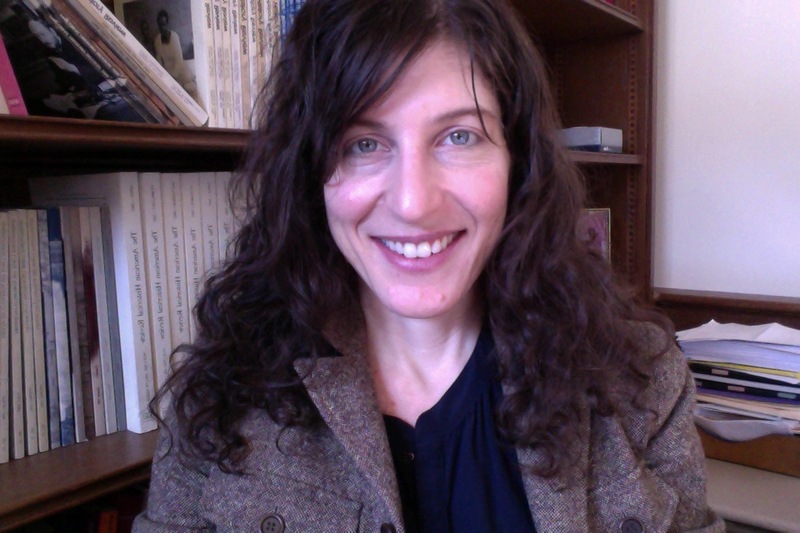 She consults frequently for institutions and project teams including MoMA, Center for Reproductive Rights, National Public Housing Museum and the Prison Public Memory Project on oral history-related challenges. Her own oral history projects have addressed disappearing labor forces, rehabilitative medicine, parapsychology and feminist presses. Her most recent projects include sound installation, archives design and a multimedia project on occupational therapy. She has been a member of OHA since 2010 and served as committee member and chair of OHA’s Stetson Kennedy Vox Populi Award Committee. I would be honored to serve on OHA’s nominating committee and view such an appointment as an opportunity to champion leaders who will actively work to increase the diversity of our membership/leadership and celebrate the eclecticism of our field. I would work to identify leaders with vision for our annual conference, those who can inspire us to bravely test the claims of our field and help us welcome the broadest range of practitioners to the association. Carlos Lopez is the special projects archivist and director of the Arizona Legislative Oral History Project at the Arizona State Archives in Phoenix, Arizona. Lopez received his B.A. and M.A. at Baylor University, where he worked at the Baylor Institute for Oral History. In 2009, Lopez enrolled in the public history program at Arizona State University. In 2010, as an intern with the Arizona State Archives, he co-directed a project that selected 10 libraries throughout the state for training to start their own oral history programs. Lopez is a member of the Southwest Oral History Association (SOHA), has served on the executive board and is first vice president. 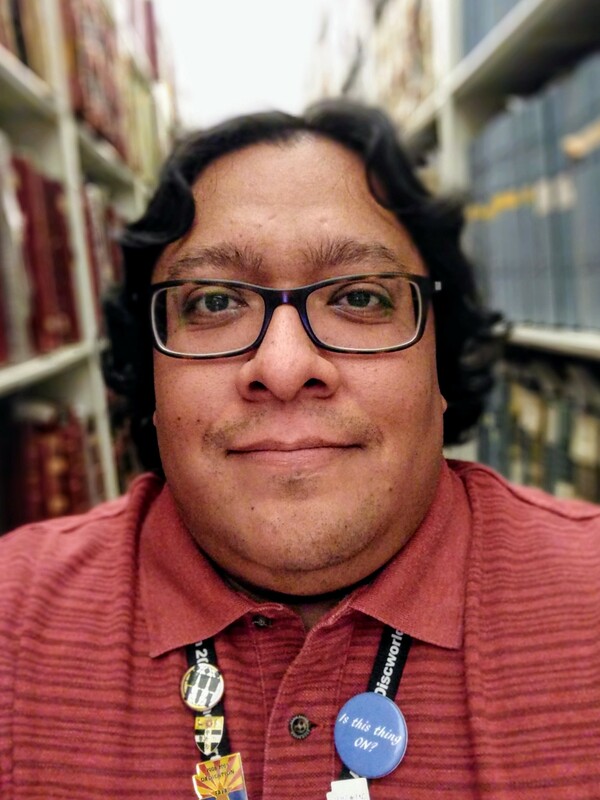 Lopez has been active in the Oral History Association for the past decade, serving on two conference program committees, two terms on the Diversity Committee, the OHA Membership Taskforce and the New Professional Taskforce. I have been attending OHA meetings since 2008 in Pittsburgh where I was welcomed not as simply a student, but as an equal. Despite years (or decades) working in the field, they treated me with the kindness and respect I had not felt in other history organizations. Because of this, I’ve come back year after year. The great thing about OHA is that the professional historian, student, non-professional historian and independent scholar all have a valid and equal voice. I am very excited to be nominated and, if elected to the Nominating Committee, I will do my best to make sure that leadership reflects this openness and the welcoming attitude. 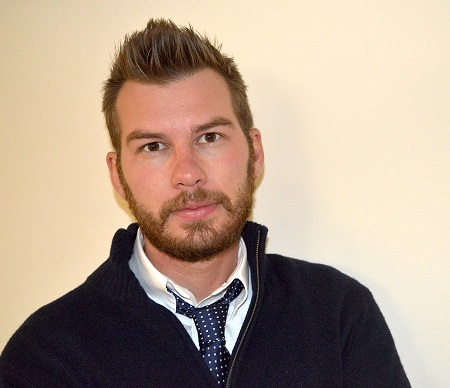 Sam Redman is an assistant professor of history at the University of Massachusetts where he teaches courses on oral history, public history and modern U.S. history. Previously, he worked as the lead interviewer for the Rosie the Riveter / World War II Home Front Oral History Project, a collaboration between the University of California, Berkeley, the National Park Service, and the City of Richmond. Most recently, he coordinated a student-driven project, resulting in five new oral histories on the history and evolution of the Emily Dickinson Museum in Amherst, Massachusetts. Thank you for granting me the opportunity to potentially serve on the OHA Nominating Committee. I am deeply interested in the future direction of oral history. I am personally committed to seeing our field continue to expand and diversify in terms of ethnic background, economic conditions and expressions in sexual orientation and gender. I am also sincerely committed to academic integrity, rigorous research and helping other scholars articulate how oral history might enrich their ongoing work. Our field thrives on unique voices, so continuing to open the sphere of inclusion and offering resources for oral history work will be my primary concern as a member of the Nominating Committee. Debbie Ardemendo is associate director of education at the Apollo Theater in New York City where she provides resources to the classroom in a variety of ways, including school tours, performing arts workshops, school partnerships, oral history residencies and professional learning workshops for educators. Ardemendo has worked as an educator at several cultural institutions in New York, including the Intrepid Sea, Air and Space Museum and the Museum of the City of New York. At the Apollo, she has married her two loves, New York City history and the performing arts. Ardemendo holds a bachelor’s degree from Goddard College in Plainfield, Vermont, and a master’s degree from Bank Street College for Education in New York City. She chaired the OHA Education Committee from 2012-2014. I have been an active member of OHA since 2009. I am affiliated with several organizations, and my work in arts education often takes me to many conferences. The OHA conference is one of the most inspirational! The range of members and the projects presented influence the way I organize and conduct my own projects. I look at them with an invigorated lens and am able to try new approaches. I attribute the successes of our oral history projects to the support of the OHA and do what I can to support the organization. Members play an integral part in all components of the association, from conference planning to website content. If elected I would be happy to serve on the Nominating Committee and play shape the future leadership the organization. Barb Sommer has more than 35 years of experience in the oral history field. She has been principle investigator or director of a number of community oral history projects, has taught oral history and has led many community oral history workshops. Sommer is a long-time member of the OHA where she served on and chaired the Book Award Committee. She is the author and co-author of several key publications in the field including The Oral History Manual (2nd edition 2009 – 3rd edition under contract), The American Indian Oral History Manual (2008), the Community Oral History Toolkit (2013), and Practicing Oral History in Historical Organizations (2015). Her pamphlet, Doing Veterans Oral History (2015), was published by the OHA in partnership with the Library of Congress American Folklife Center Veterans History Project. Her book Hard Work and a Good Deal: The Civilian Conservation Corps in Minnesota (2008) won a number of state and national awards including a Minnesota Book Award. The Oral History Association has provided a half-century of leadership to the field. Building on this milestone, we look forward to continued growth. The Nominating Committee is central to this effort. Its members identify and recruit candidates to lead the organization. As a long-time member of OHA, I am excited about the opportunity to serve on the Nominating Committee. I am committed to recruiting people from a variety of diverse backgrounds and geographic locations who will continue to promote and support the broad practice of oral history.